When you look at Matt Krook's walk rate in his debut season, you understand why the Bay Area native fell to the Giants in the fourth round last draft after being taken 35th overall three years earlier. But when you read what scouts say about the action on his pitches, you realize why he was worth grabbing in any round. A mid-90s fastball, ridiculous curveball, and reasonably good slider, plus a changeup from a tall, lanky left-hander always makes for a hot item. But Krook averaged 7.7 walks per nine innings in 2016. That's why the Giants obviously had him working hard on control during the Instructional League this fall, hoping in 2017 he'll display what he can do starting in the California League. What has made Krook effective in 2017 is his new sinker, helping him produce a ground ball rate above 60%. 2017 has been an important year for 20-year-old Kelvin Beltre, who is simply looking for his first full healthy season as a pro. He missed two months last season while in the middle of a solid South Atlantic League debut at age 19, and only logged 56 plate appearances a year earlier his first season in the United States. Beltre, in Augusta again for the new year, has shown encouraging improvements in many areas, including lowering his strikeout rate by more than 10% while increasing his walk rate by 4%. His arm appears to be his best asset, thus the bulk of work in 2016 at third base for the Dominican who was signed as a shortstop. 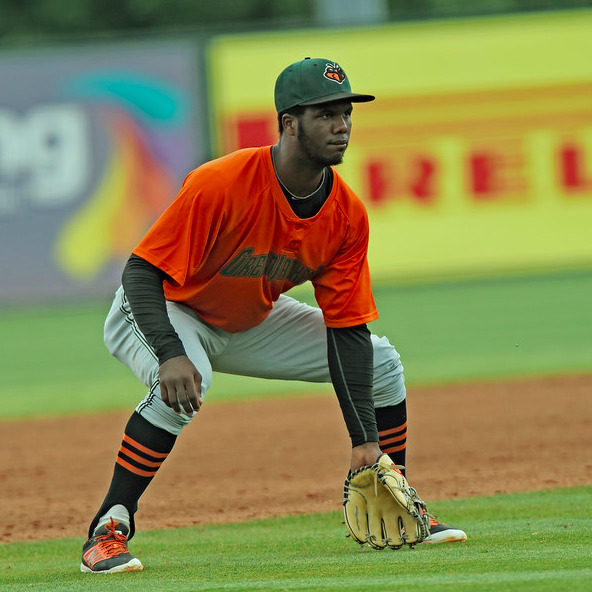 Though in 2017 for the GreenJackets, Beltre has played strictly second base. Chris Stratton hasn't quite panned out the way most people would have expected the 2012 first-round pick to thus far. His 2014 season, spent in San Jose and Richmond, culminated in a 4.80 ERA and 1.48 WHIP in 122 innings. He's been in the Sacramento rotation since mid-2015, and has produced similar numbers, but he's been trending up over the last year. His advertised 93-95 mph fastball in college turned into high-80s to low-90s, and his ability to spot it has benefited him. Scouts waver back and forth between calling Stratton a potential rotation or bullpen arm, but as of now, he remains in the starting role capable of throwing 90-plus pitches with a decent four-pitch arsenal. Many praised his 2017 spring showing, and scouts even had Stratton up to 94 in the Fall League. A late-inning reliever for most of his baseball life, Dan Slania moved into a starting pitcher role mid-2016, and has made the Giants look like geniuses with his numbers. In his first 11 starts since the role switch, Slania threw more than 80 pitches eight times, and threw more than 90 pitches six times, while averaging six innings per start and just 6.7 hits per nine innings. Slania uses a low-to-mid-90s sinking fastball, as well as a cutter and a slider. The cutter can touch 91-92 but typically is a high-80s pitch, while the slider sits 81-85. Almost all of his already-solid numbers had improved since becoming a starter, until he began to struggle in 2017, mostly in the hit department as opposing hitters are averaging over .300 off him.